Down in Australia they are enjoying summer right now to the fullest degree. Long, hot days with of plenty of time on the water and plenty of Nautiques. One of our largest partners down there are the good folks over at Nautique Central, a multi-location dealer set up on the Gold Coast and in Penrith as well. Each and every year, they push the level of participation and increase the awareness of towed watersports to so many fresh faces in Australia. As the main players for their area and with a team who really encompasses the Nautique lifestyle, we caught up with them to find out about their Aussie summer, what they have going on and to learn more about their presence and philosophies as a Nautique dealer. What’s new guys? How’s summer been in Australia so far? We’re half way through our summer season in Australia. People ride all year round here but the most popular time to ride would be from September to April. We’ve been busy introducing a number of new people to the brand, and the interest in particular for the new models - the GS20/22 - have been unprecedented. You have a big event coming up with your annual Nautique Owners Reunions, when and where are those? Each year we hold an Owners Reunion for both states that we look after. The first reunion is on March 18-19 at Grafton on the Clarence River. The 2nd reunion will be on 25th & 26th March at Wisemans Ferry on the Hawkesbury River. These weekends give owners the opportunity to meet other owners, discover new waterways that they might not normally visit, look at and experience other boat models that they might not have the opportunity to, meet and interact with athletes and just generally have a good time. We organise activities on and off the water and have a themed dinner on the Saturday night that we encourage our owners to participate in. We also give each of our registered owners a Nautique Central merchandise pack as a thank you for attending. How long have you been doing the reunions? The reunions started back in 2008 before Nautique Central even existed. A dedicated group of Nautique owners decided to organise a social weekend for Owners and ran a Queensland owner’s reunion for several years based on the Tweed river. The idea behind them was to get people with similar interests – owners - together to socialise and get to know other owners. When NC started, we decided to take over the reunions as a company sponsored event and have developed the concept into the current format - 2 reunions each year since 2014. We still have some familiar faces from our very first reunions but numbers are growing each year. How many boats do you typically get? At each reunion, we will have upwards of 30 boats. Each year our NC family grows. Tell us a little about Nautique Central and your backstory. Nautique Central opened its doors in October 2010 with a branch on the Gold Coast in QLD We have a simple philosophy – to provide the water sports community with access to the best sport specific boats on the market and the backup service that Nautique Owners should expect. Our second branch opened in Penrith in NSW in September 2011. We are passionate about providing an service and sales experience that is second to none. What are some of your philosophies about creating a watersports culture and staying active in your community? 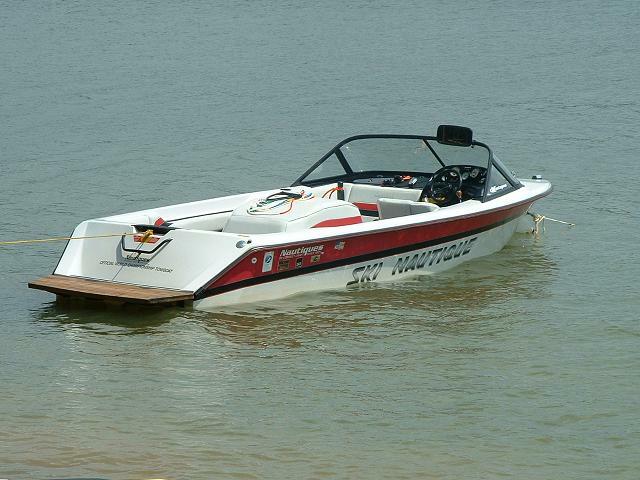 • We support the local state run wakeboard competitions by towing rounds for each state each season. • When we sell a boat we make sure to do a full on and off water handover whether they’re new to the sport or already water enthusiasts. We make sure they use their boats responsibly and appropriately on the waterways. And always encourage involvement of their whole crew in the boat hand over. • Whenever we visit local waterways we always make sure to interact with our other boats we see on the water – no matter the brand - and assist them with using their boats in ways they might not have experienced yet and also taking them onto our demo boats to show them features they might not have on their boat. • We give back to our community by being involved with a local charity called DreamTrack which help Aboriginal and Torres Strait Islander to face life’s challenges with a positive attitude and instil a confidence within them to believe they can achieve their dreams and ambitions. We use our boats to take the kids out to experience something they wouldn’t normally do or get the opportunity to do. How has Nautique Central grown the local scene? We feel our customers are our best ambassadors. If we give good service and products, they become our best tool for expanding the watersports scene. We feel our owners reunions also are a tool to not only promote our business and the brand but also to instil a sense of family and group ownership to our customers. What kinds of things do you focus on in in terms of your business and customers? We focus on providing a top level of service and support and also quality and performance both on and off the water. Nautique Central was born from a dissatisfaction of the service that was provided by the dealer at the time. So providing a high level of product backed by top shelf service is what we are passionate about. What other types of things are going on in your area? There is a new cable park opening soon that is located 15mins away from our Gold Coast shop. WE believe this will encourage more people to get into the sport. More people in the sport is good for us. Tell us why you carry Nautique and what the brand means to the watersports scene in Australia. We believe that Nautique boats are the best on the market. We’re the only dealership on the East Coast that is focused 100% on towboats. Quality products backed by a high level of service is a winning formula. We’ve worked hard to re-introduce the brand to the Australian market over the past 6.5 years. At every Boatshow and event we attend, we get the opportunity to give people the Nautique experience and show them our amazing boats.